Home / Join Us Friday, April 7th for Kendra Scott Gives Back Night! 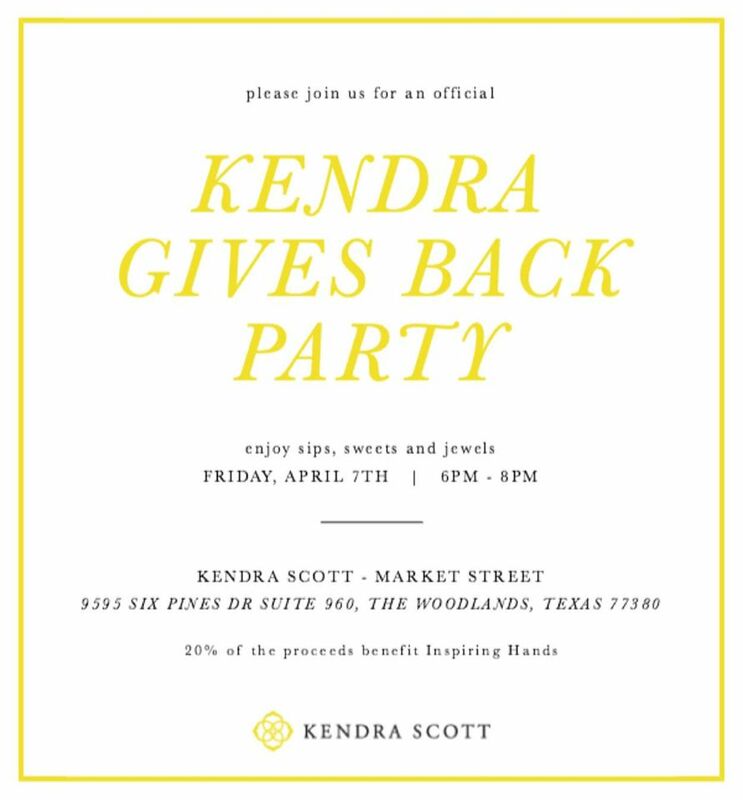 Join Us Friday, April 7th for Kendra Scott Gives Back Night! Can’t attend but would like to participate? Email us your contact information along with the item number(s) of the piece(s) you wish to purchase before 5pm on Friday the 7th to info@inspiringhands.org . During the event hours, 6-8 pm, a store sales representative will contact you to confirm and place your order. Item(s) will be shipped directly to you from Kendra Scott.